The number of invitations issued for Canada Permanent residence till October 2018, is double the number of invitations issued in October 2018, by the government of Canada. 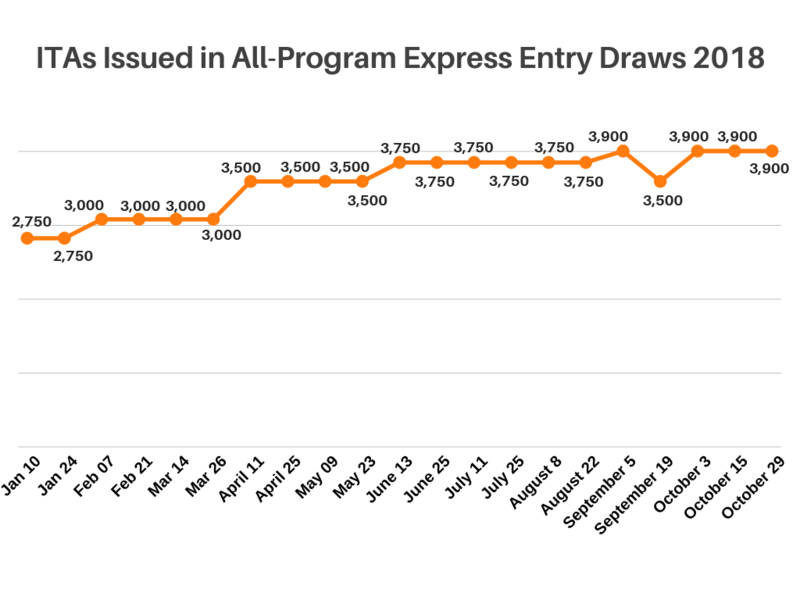 The numbers of invitations to apply or ITAs issued in express entry draws in the past three months are 11,700 whereas the number of invitations drawn in 2017 for the same time period was 5,558. Know about: What is Canada Permanent Visa? 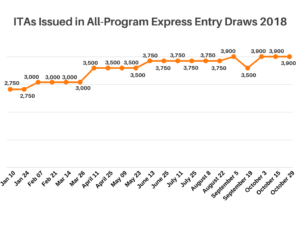 The total number of invitations issued to Express Entry candidates in 2018 is 74,200 which is 11,823 invitations less than the total number of invitations in the year 2017. The total number of invitations to apply issued in 2017 was 86,023 by the government of Canada. Candidates who are eligible to apply for Canada express entry are given a score under the comprehensive Ranking System (CRS0 score. This CRS score will determine their position in the Express Entry Pool by giving them a rank based on their score. Highest ranked candidates will be issued ITAs through regular draws from the pool. The government of Canada has planned to increase the number of invitation in the upcoming years. Economic immigration to Canada will be responsible for the majority of new admissions to Canada through 2021 under Canada’s updated immigration targets. Combined, Canada’s various economic immigration programs will account for nearly 60 per cent of all admissions to Canada, with Federal High Skilled and Canada’s Provincial Nominee Program alone accounting for 44 per cent of total admissions over the next three years. As the government of Canada has designed a program through which all the provinces (except for Quebec) can selects migrants to their province and that Program is PNP. This program allows these provinces and territories to nominate a set number of economic immigration candidates for Canada PR visa every year. There are nine provinces and territories that participate in the Provincial Nominee Program (PNP) of Canada and each one has at least one stream that is linked to federal Express Entry System. Candidates who apply for express entry through Provincial nomination receive an additional 600 points towards their CRS score. This additional score puts them in a good position to receive an ITA. 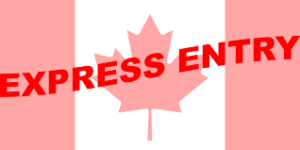 Ontario has three Express Entry-aligned PNP streams. These three streams are the Human Capital Priorities, French Speaking Skilled Worker Stream and Skilled Trades Stream. These three streams were responsible for 95 per cent of the nominations issued by the Ontario Immigrant Nominee Program (OINP) in 2018 — 6,411 out of the province’s 2018 total allocation of 6,600.